What you need to know before starting that first fire of the season. Starting That First Fire Of The Season? Is Smoke In Your Face? http://www.baileyschimney.com/wp-content/uploads/2017/10/12359874_917883298305706_7831971099183546034_n.jpg 960 640 jheveron http://www.baileyschimney.com/wp-content/uploads/2017/09/Chimney_service_Taos_Santa_Fe.png jheveron2017-10-16 16:23:582018-04-27 15:59:13What you need to know before starting that first fire of the season. One thing we strive for at Bailey’s is constant improvement. That’s why I travelled to Richmond, Indiana to receive factory training in the Heat Shield chimney repair system. Heat Shield is a nondestructive way to repair and reline chimneys from the inside out. 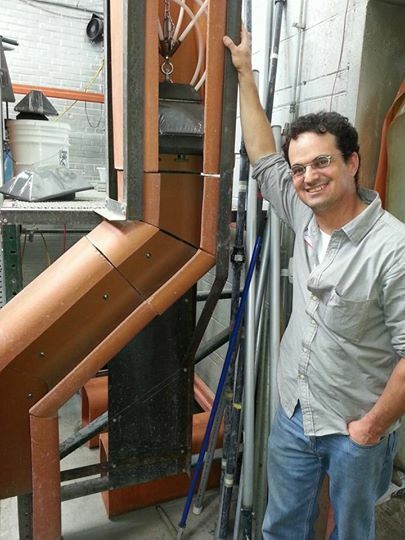 A company called Saver Systems has developed this amazing technology, and I am proud that Bailey’s is the only company in New Mexico that is authorized to utilize this solution to the problem of cracked, damaged flue tiles inside chimneys. I got to know most of the top professionals in the industry at the Heat Shield Summit, and was able to exchange lots of useful information. After four days in Richmond, I travelled to Chicago, where I spent three days with Lindemann Chimney Co, the number 1 chimney service company in the U.S. The first day I spent in their offices and warehouse, and the the next day I rode around with one of their chimney sweeps in Chicago. Exchanging best practices with the best in the business is a way that I can be sure that here at Bailey’s we are constantly improving. Continued education and investments in knowledge is an important part of the mix for Bailey’s. That’s one of the reasons why we are New Mexico’s premier chimney service company. A lot of fireplaces have internal dampers; there is a handle that comes down into the fireplace; you pull the handle towards you to open the damper, and you push it towards the back of the fireplace to close it. When we sweep these chimneys, the creosote and debris ends up on the smoke shelf behind the damper. For chimneys that lack rain caps/animal guards, there is usually an accumulation on the smoke shelf of various things, which can include leaves, twigs, bird carcasses and nests, milk cartons, chunks of plaster, rocks, pieces of steel: anything and everything that ever climbed, flew, fell or was dropped down the chimney…is still sitting there behind that damper. Reach up into the smoke shelf with the vacuum hose and vacuum everything out from behind the damper. Unfortunately, a lot of chimney sweeps don’t take this step, which is actually the most important part of the job. We at Bailey’s, on the other hand, do it right.